The company has also hired their first chief information officer, which was recently announced. With the goal of enhancing the smartphone based presence, the Chipotle’s Mexican Grill fast-casual chain has announced that it is placing a focus on mobile ordering and payments and that it has hired its first chief information officer. Curt Garner, formerly the CIO of Starbucks, is now the first person to take this position at Chipotle’s. This decision to hire a CIO has come at the same time that the company intends to broaden its mobile ordering and payment offerings, two features that are becoming quite commonplace throughout the fast casual and fast food sectors. In this, Chipotle’s is far from alone, as Starbucks, Panera, Domino’s and Taco Bell – among many others – have already been major players in this space. 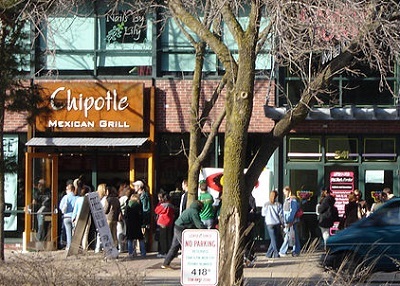 In fact, until now, those companies have been notably more aggressive in their m-commerce efforts than Chipotle’s. The company believes that strategic expansion of mobile ordering and payments will change the way people interact with fast food. Before moving to Chipotle’s, Garner had held several different technology positions at Starbucks, spanning almost twenty years. That company has been crowned as the current ruler of the mobile payments segment and it has recently expanded its mobile app based ordering, as well, making it possible for customers to skip the line and simply pick up their orders. This makes Garner a very strategic addition to Chipotle’s, which first announced that it would be rolling out mobile ordering on its Apple Watch app back in April. Not long afterward, officials from the company said they would be focusing on updating their mobile app for better efficiency.